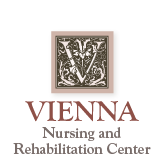 Vienna Nursing and Rehabilitation Center combines a compassionate team of experienced caregivers and a modern facility to provide the finest in skilled nursing care and rehabilitation services. We're conveniently located in a suburban setting in Lodi, Calif. Residents have a choice of double, triple, or quad rooms. Rates are all-inclusive. The pristine grounds surrounding Vienna feature patios for residents and guests to gather near relaxing water fountains and flowers. Nature photographs bring the great outdoors into our hallways for all to enjoy. Antique furnishings offer a home-like feel. The dining and activities room boasts a magnificent, 14-foot-high, 875-pipe organ built in 1906, played often for the entertainment of our guests. We invite you to tour any time. Contact info@ViennaNursingRehab or call (209) 368-7141.